Optimism about U.S.-China trade talks, strong results from Nestle, AstraZeneca and Airbus helped European shares extend their winning streak to hit their highest in three months on Thursday. The pan-European STOXX 600 was up 0.5 percent at 0840 GMT, with Paris' CAC 40 up 0.7 percent, and London's FTSE 100 up 0.3 percent. 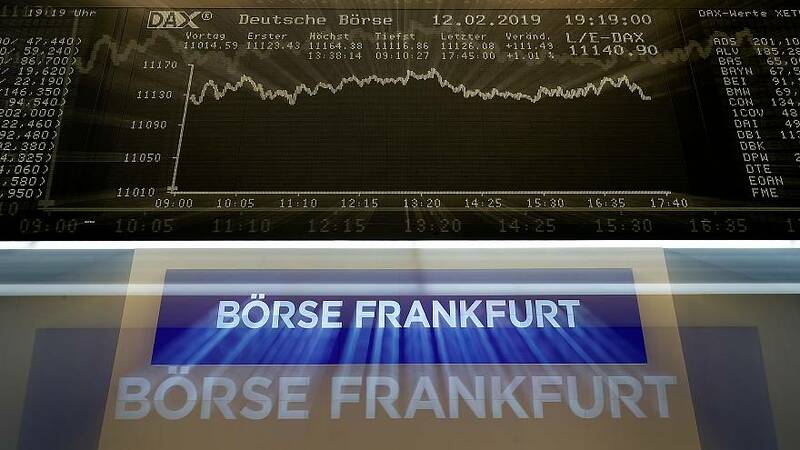 Frankfurt's trade-sensitive DAX was up 0.4 percent, as investors breathed relief that the euro zone's largest economy escaped recession towards the end of last year. Euro-zone GDP data will be released at 0900 GMT. European industrial and consumer staple heavyweights stole the show on Thursday: Airbus delivered better-than-expected results, taking some of the sting away from the news that Europe's largest aerospace group has abandoned its flagship A380 programme. Its shares jumped 5 percent to levels just shy of its record set last July. AstraZeneca's fourth quarter topped sales forecasts and the British drugmaker forecast another year of growth, sending its shares up more than 4 percent. They were on track for their best day since July last year. Nestle, the world's top food and drinks maker, soared to all-time highs after giving an upbeat outlook for the year ahead on an improving outlook in China and North America.